Seventy-three year-old Paula Barrett says she’s done every type of exercise in her life, but she’s never been a runner. Until now. 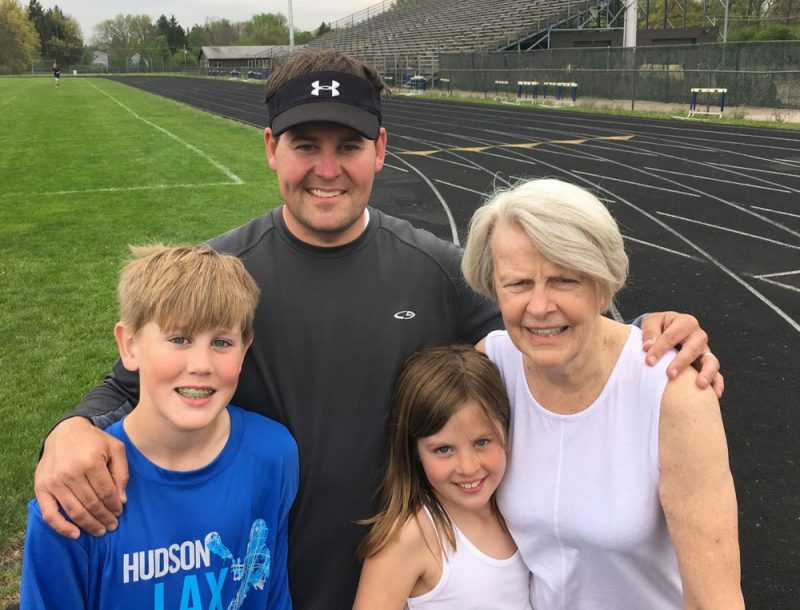 Paula’s on an accelerated track to build up from no running experience to running her first road race, the Color Run 5k in Youngstown on June 11. She’s part of a team, “Four’s Company,” that includes 3 generations of her family: her daughter Lindsay’s husband, Dr. Mike Bigham, a pediatric critical care doctor at Akron Children’s Hospital, and their 2 children, Barrett and Chloe. As the race’s designated charity, a portion of the event’s proceeds go to Akron Children’s Hospital Mahoning Valley. 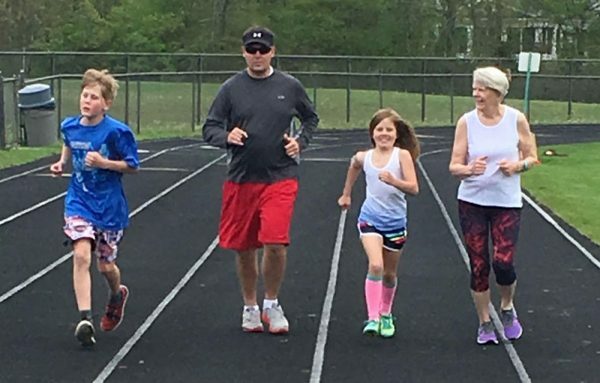 Eleven year-old Barrett’s plans to dash past grandma didn’t fly with Paula, who’s been training for more than 6 weeks to complete the 3.1-mile race distance. “He’s very athletic and says he’ll blow by me, but I told him we’re all crossing the finish line together,” Paula said. Akron Children’s Senior Director of Development JoAnn Stock is not surprised by Paula’s convictions to participate in this race, as she’s been a strong hospital advocate, volunteer and donor for years. Barrett has also been very involved in the Woman’s Board of Youngstown, which has supported local programs and services since the hospital’s Beeghly campus opened in 2008. “We’re fortunate to once again be the benefiting organization for the Color Run, as it’s one of the most fun and well-attended road races in the Mahoning Valley, and each year we see more and more families and employee groups participating together as teams,” JoAnn said. This year’s Color Run is a tropical theme, and will combine a 5k run with all the fun leisure of an island-style vacation – full of unforgettable memories, music and colors. An all-new Tropicolor Zone on the course will bathe participants in a tropical array of colors and island scents as they pass through palm trees, arches and island-style music. The event will be held at The Covelli Centre, 229 E. Front St., in Youngstown. The race will begin at 8 a.m. Volunteers are needed to help on the day of the race. Call 330-746-8726 for more information. Jim Houck is the owner/president of The Houck Agency. A Mahoning Valley native and graduate of Ohio State University's School of Journalism, Jim has nearly 20 years of experience in advertising and corporate communications.